It’s not just a New Year. It’s a new and undeniable opportunity for your company to unlock a spectrum of possibilities. We anticipate 2018 will be one of the most transformative years the wireless industry has ever seen. How so? All of the talk, all of the tests and all of the hard work our team, the CBRS Alliance and other industry leaders have put in over the years will become a very tangible thing this year. We’re bringing shared spectrum to life and to market! 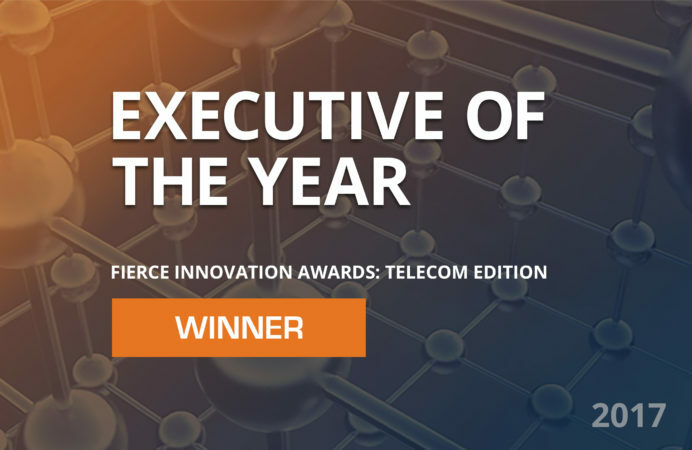 On top of that, I was also honored with Fierce Wireless’ Executive of the Year award at the end of last year for being on the front lines of the 3.5 GHz CBRS wave, acting as a proponent for the innovative spectrum-sharing scenario that could have dramatic ramifications for the global wireless industry. My work, along with my team, doesn’t stop there, though. As we look to the New Year, there is still more to be done before the band is ready for optimal use. Currently, we are working on finalizing the licensing rules, which are expected to be complete within Q1. SAS & ESC certification, completion of ESC infrastructure and customer commercial launches are to follow. To those who have been following shared spectrum’s progress over the years, this may sound very exciting. Just in case you’re new to the shared spectrum space or need a refresher, though, I’ve included some Q&As below from a panel session I participated in at Fierce Wireless’ Next Gen Wireless Networks Summit last year. These are some of the most frequently asked questions we get and should help clear things up a bit. Q: Explain spectrum-sharing and why it is considered so important. In an effort to increase spectral efficiency and ensure that there is enough available spectrum to support the explosive growth of wireless data, the FCC has established the Citizens Broadband Radio Service (CBRS) in the 3.5 GHz radio band for nationwide spectrum sharing. Q: What kind of business models and relationships might spectrum sharing help produce? In the future, I expect new models to emerge including integration with Enterprise equipment offerings, cloud services, IoT applications and emerging automation/ML. These are typically referred to as Private LTE since they are self-contained and don’t require an operator to enable. Q: What specific role will CBRS play beyond simply increased capacity? What kind of use cases will it support? Q: Can you briefly explain the three tiers for CBRS, and how (and when) we expect services to be deployed through those tiers? Incumbents are using the spectrum now. GAA, which is, at a minimum, half the spectrum of about 150 MHz, will be available around mid-2018. PAL, which is about 70 MHz, will most likely be available in 2019 following an auction to be conducted by the FCC. Q: What role will unlicensed spectrum play in CBRS deployments? GAA is at least half the spectrum and will be available first at certification. It is similar to unlicensed but with coordination, which results in higher quality. Also, PAL rules allow for General Access to any spectrum that has not been deployed as PAL. I expect the majority of it to be used for Gigabit LTE. Q: Do you expect CBRS to enable models such as neutral hosts and private networks? Can you give examples of those? The answer is yes. There are a lot of use cases where existing Wi-Fi or in-building systems are not scaling in terms of capacity or cost that are being looked at. Examples include venues, malls, and large logistics and industrial applications. This is in the early stages of development. This year, you will have a spectrum of possibilities at your fingertips. All you have to do is reach out and grab ahold. 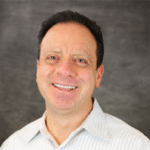 Iyad Tarazi joined Federated Wireless from Sprint Corp., where he served as Vice President of Network Development and led the Network Vision network modernization project. Responsibilities included overseeing the development and integration of new products and technologies within Sprint’s networks and managing Sprint-Nextel’s technology integration labs.